Residential Window Screens and services, Keeping the Bugs out! Miller Glass has a complete custom screen shop. Whether you are looking for a replacement screen for a bedroom window or a custom Rollaway screen door powder coated to your choice of color, we can help you. Bring your screens to one of our locations or we can come to you. Please refer to the following roundup of screen facts to give you some good information about screens from Miller Glass. Miller Glass does not carry stock-sized screens, however any size screen can be custom made or special ordered for special shapes, i.e. ½” rounds. Aluminum wire insect screens are less common than fiberglass mesh and are used more often in wooden framed screens and screen doors than they are in aluminum frame windows. The benefit of using such screens is that it tends to be harder to tear and will last longer. The negative aspect of using aluminum wire screens is that it is more costly, corrodes over time, and dents easily. Fiberglass mesh insect screen is the most common of all screen material. The benefits to using fiberglass screen material are that it is less costly than wire and it will not dent or crease. 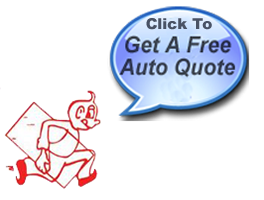 It is also easier to work with for the do-it-yourself customer. Fiberglass is rarely used on wood screens or wood screen doors. Fiberglass mesh screen comes in two colors, black or gray. Sunscreens are a fiberglass mesh that have tightly woven strands of fiberglass running through it to reduce the amount of sunlight that penetrates through the screen. Sunscreens are very effective and can reduce up to 90% of the sun and its heat from coming through the screen material. Sunscreens are generally applied to the exterior of the home and cover up an existing window or can be mounted on a porch. They can also be mounted on the inside of the home in skylight wells to prevent excess light from coming in from the skylight. Pet screen is a reinforced fiberglass screen that resists the abuse of cats and dogs scratching the screen. Pet screen is generally used in screen doors only. This is a good upgrade to regular fiberglass screen in screen doors. It is more expensive than standard fiberglass, but is worth the cost. Screen doors are priced per item. Miller Glass carries some stock size screen doors and can also build special sizes to fit just about any size condition. The less expensive type is the roll form screen door. Roll form doors are made from a thin sheet of metal and are rolled into the shape needed to build the doorframe. These doors come with plastic rollers and a plastic handle set. Property managements and rental units most commonly use these. Extruded screen doors are made from a solid piece of aluminum pushed through a die that cuts it into its shape. These doors are much stronger than roll form doors and come complete with metal wheels, a metal handle and lock set. All four doors come standard with charcoal insect screen. The doors come standard with two push bars, a pet grill, and a 10” kick plate. Any one, or all of these items may be left off if you desire. These doors can also be used to accommodate French Doors with an opening 72” wide. These doors can be screened with insect screen or sunscreen. 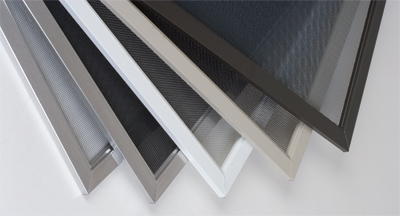 These screens can be used for windows, hinge doors and French doors. "Call Floyd Miller, the Glass Man"